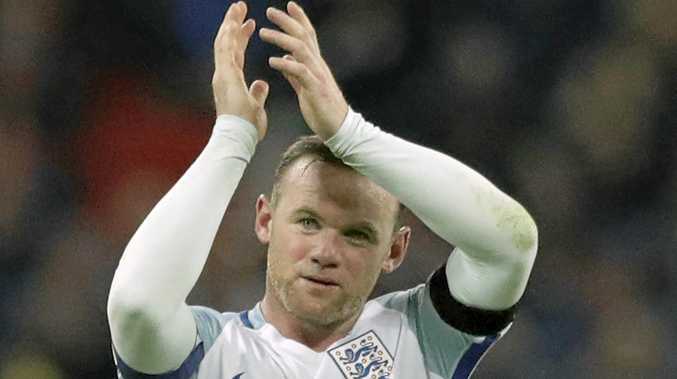 WAYNE Rooney has called time on his England career after turning down the chance to be part of the squad for next month's World Cup qualifiers. Rooney, who has scored twice for new club Everton in the English Premier League this season, is his country's top scorer, hitting the net 53 times in 199 internationals. The 31-year-old said in a statement that England boss Gareth Southgate had asked him to be involved against Malta and Slovakia but said he thought he was quitting at the right moment. "Every time I was selected was a real privilege but I believe now is the time to bow out," Rooney said in a statement. "It was great Gareth Southgate called me this week to tell me he wanted me back in the England squad for the upcoming matches. I really appreciated that. "Leaving Manchester United was a tough call but I know I made the right decision in coming home to Everton. Now I want to focus all my energies on helping them be successful. "I will always remain a passionate England fan. One of my very few regrets is not to have been part of a successful England tournament side. "Hopefully the exciting players Gareth is bringing through can take that ambition further and I hope everyone will get behind the team. "One day the dream will come true and I look forward to being there as a fan - or in any capacity." Rooney made his England debut in February 2003, in a 3-1 defeat by Australia at Upton Park. He made his major tournament debut as an 18-year-old at Euro 2004, and his last international appearance was as captain in last November's 3-0 victory over Scotland at Wembley. Rooney rejoined boyhood club Everton in the summer, and his announcement comes two days after he scored his 200th Premier League goal in a 1-1 draw at Manchester City.